C.A.L.O.R.I.E.S. 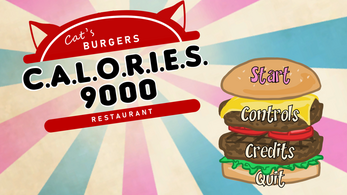 9000 by Fried Cats, Jeremy Guarober_PARADIGME, Togimaro, Corsaire, Lutwidge, jane-pr, RaisetheDead, Rhadamenthe, Rémi Cros, Coralie Feniello, Theo V.
An old chief organizes a contest to find out who will be the new boss of cat's burger restaurant. 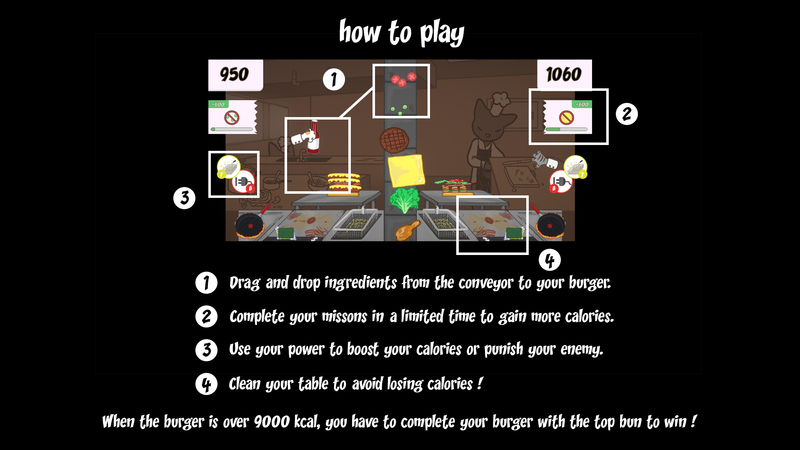 To win, you'll have to cook a burger over 9000 kcal! Claw your opponent, mess with his work and build the fattest burger ever with anything around your paw. 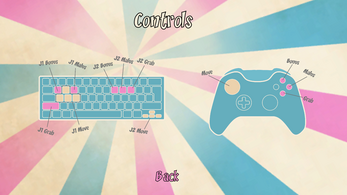 BEST PLAYED WITH 2 CONTROLLERS ! 2 players can also play with 1 qwerty keyboard. 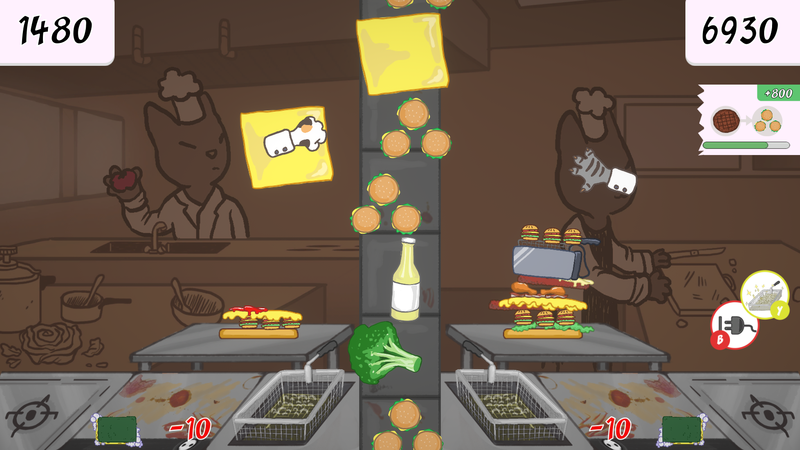 Authors Fried Cats, Jeremy Guarober_PARADIGME, Togimaro, Corsaire, Lutwidge, jane-pr, RaisetheDead, Rhadamenthe, Rémi Cros, Coralie Feniello, Theo V.
Lovely little game u made here! I had great fun and enjoyed it very much! Thanks a lot Firekai999 ! We had a good time making it, nice to see that you liked it !